A record player is a very simple device, and so is the “software” it uses –- the vinyl LP record. There are other sizes and speeds, but we’re primarily talking about the venerable 12-inch, “long playing album” that made its consumer debut around 1948. 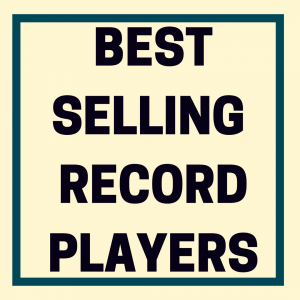 An LP record is a round, flat piece of vinyl that has been stamped with grooves. But, like any other worthwhile endeavor—and the joys of vinyl audio are legion—you will only get out of it what you put in. Making sure the record is in good shape and having a properly adjusted turntable to play it on are essential to thoroughly enjoying the vinyl experience. 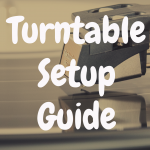 So sit back and enjoy, as we’ll lay out the very basics of turntables and record playing if you feel like you need some help setting it all up. Turntable Setup: What Do I Need? Slip mat: A circular piece of material that fits between the platter and the record. You can spend obscene amounts of money on a mat. But I implore you—don’t do it. Whatever came with the machine is more than likely just dandy, and really, you’d be better off using that money to get an improved platter (I personally like the acrylic platters that are available because then you can then dump the mat entirely). Direct drive/belt drive: Two methods of getting the motor to spin the record. Platter: The round base on which the record spins. Spindle: The metal knob that protrudes from the platter. Tonearm: The pivoted “arm” that holds the cartridge over the record. It might be straight or sort of “S” shaped. Headshell: A device that attaches the cartridge to the tonearm. Cartridge: A “transducer” designed to convert the mechanical vibrations created by record groove undulations into an electronic signal. Stylus: The “needle,” which picks up vibrations from the grooves. “45” adaptor: A circular piece of metal or plastic that fits into the “big hole” of a 45-RPM record. Balance: A “balanced” tonearm should float on a level plain before stylus pressure is set. Counterweight: A screw-type device that controls downward force. Antiskate: A spring or other type of mechanism that prevents the arm from “skating” across the record, as it would naturally do without resistance applied. Stylus pressure: The force that the tonearm and stylus exert on the record. The pressure should match to the manufacturer’s specification. There’s something to be said for the current crop of turntables that come basically “plug and play.” Newer users and the vinyl-curious just want to spin records, not futz around with a slew of tweaks. On the other hand, being able to make appropriate adjustments can lead to better sound reproduction, less record wear, and a smoother, no-skip tracking experience. Most modern turntables require very little actual “assembly.” It can vary by manufacturer and model, but basically it involves carefully removing everything from the box, inserting the AC and other connecting cords, stretching the belt around the motor spindle (if it’s a belt-drive table), inserting the platter, and popping on the record mat. However, when it comes to the cartridge and tonearm, things can get a bit more intriguing. Most low and mid-price turntables come with a cartridge already mounted. Some are even pre-adjusted for balance, antiskating, and stylus pressure. If not, you’ll have to tend to those yourself. Adjustments on an arm with a pre-installed cartridge are fairly easy. But, if a cartridge actually needs to be mounted, we’d recommend that novices leave that quite delicate and painstaking chore to a professional. 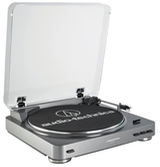 Let’s take a common (and very popular) turntable, the Audio-Technica AT-LP120. Once the platter is seated on the spindle, lock the headshell (with mounted cartridge) onto the tonearm by turning it counterclockwise. Now screw the counterweight onto the back of the tonearm with the stylus-force gauge toward the front. Set the antiskate dial to “0,” remove the protector from the stylus, hold the headshell, and release the arm’s locking clamp. At this stage of the game, the arm will be unbalanced, so don’t inadvertently let it fall. Rotate the counterweight until the arm gently “floats” flat and horizontal. Now, lock the arm down again. Holding the counterweight steady (don’t turn it), rotate only the black stylus force gauge ring until the “0” on the ring is in line with the center line at the rear of the arm. Now, turn the entire of counterweight counterclockwise until the “2.0” mark lines up with the center line (this is the proper force for the supplied cartridge that has a green stylus assembly.) Finally, set the antiskate knob to the same number as the stylus force, which should now be 2 grams. Worried that you messed up? The Shure SFG-2 Stylus Force Gauge (about $30) will give you an accurate reading. Don’t spend big bucks on a digital gauge. Lastly, insert the hinges at the rear of the table and slide on the included dustcover. 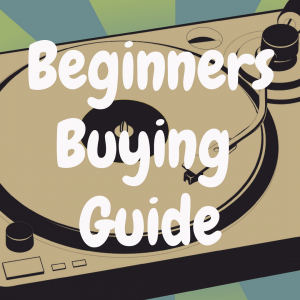 Fortunately, the huge uptick in turntable and record sales has prompted manufacturers to be extra meticulous in preparing owner’s manuals, and there are myriad how-to resources online. YouTube videos can be a godsend when it comes to dealing with setup. All amplifiers aren’t created equal. 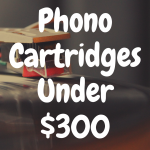 Phono preamplifiers (aka phono stages or preamps) utilize the Record Industry Association of America’s (RIAA) equalization or “curve,” meaning that an amplifier that will handle the signal from, say, a CD player and power a set of speakers won’t work for turntables and records. Virtually all receivers once had this kind of amplifier built in, and you simply plugged the cable from your turntable into a “phono” input. With the advent of multi-channel “home theater” receivers, that function has been disappearing. But not to worry: There are still some traditional stereo receivers with phono inputs, and a separate, thoroughly serviceable outboard preamp can be had for less than $100, and it will work when used between the turntable and a receiver “aux,” “tape,” or similar input. Moreover, many modern turntables have their own preamps and can be connected to any amplifier or receiver. Yes, vinyl attracts dust, and dust and other adulterants can cause those nagging clicks and pops during playback. Many of these problems can be prevented by behaving proactively –- don’t leave a record on the turntable platter after playing, and never leave it sitting on a table. Return the record to its jacket immediately after playing. And it should go without saying that the actual playing surface of the record should never come in contact with oily fingertips. 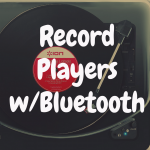 Before playing, it’s also wise to gently wipe the record with a clean microfiber cloth, and the tried-and-true AudioQuest LP record clean brush (around $15) is excellent. Be careful with fluid-based pre-playing products; they can often do much more harm than good. If a record (especially that thrift-store “gem”) truly needs to be cleaned, there are many solutions, from plopping it in the dishwasher to using a simple device like the Spin-Clean Record Washer (about $75 for the basic package). It might never sound brand-new, but the extraneous noise will definitely be reduced. Further, among purists there’s a school of thought that advocates a thorough cleaning for new vinyl records to remove artifacts from the manufacturing process. This is certainly optional, and your mileage may vary. Much of the popularity of digital downloads can be attributed to their inherent simplicity. 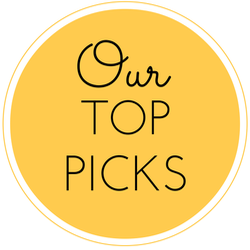 You don’t need to actually touch anything, except the “play” and “select” button on whatever device you’re using. 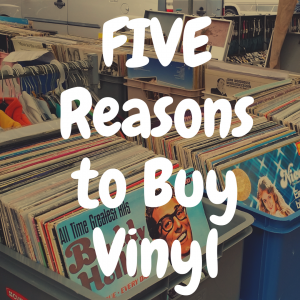 But playing a record requires a certain amount of engagement on the part of the user, and it can be an experience that vinyl lovers tend to gush over. Is it complicated? Not really, but actually playing a record the right way can make all the difference when it comes to a satisfying listening session. You should now be gazing at a turntable that’s ready and raring to go. It’s on a perfectly level surface. The belt (if there is one) is properly connected, the platter is firmly seated, the turntable is hooked to an amp or preamp (use the “line” or “phono” setting on the turntable as appropriate), the cartridge is correctly mounted, the arm is adjusted to ideal specifications, and the stylus is clear of dust. (A simple paintbrush makes a terrific stylus cleaner; there are also fluid-based solutions available like the popular LAST products). If it’s an automatic turntable, your task just got easier. Making sure not to touch the grooves, gently align the hole in the middle of the record with the turntable’s spindle. 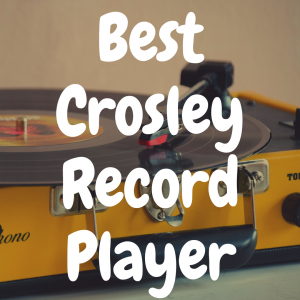 Turn the start switch (or press the button) and the record will begin spinning, the arm will rise from its rest, move to your left, and gently set itself down in the record’s lead-in groove. It will then play each “track” on the side. The tracks are easy to recognize because there is an “empty” space between each, and you can use the table’s cueing lever or “raise” button or switch to manually move from one track to another. At the end of the side, the process reverses -– the arm raises, moves to your right, sets down on the rest, and the motor shuts off. If it’s a manual model, there’s a bit more work to do, and a steady hand is recommended. A fully manual table requires the user to start the motor, lift the tonearm (usually with the help of a cueing lever), guide it to the beginning of the record or desired track, and let it down onto the playing surface. At the end of the side, the arm must be lifted and returned to its rest. The machine will not shut off by itself, so be careful not to allow the stylus to stay in the area next to the record label for extended periods of time. So there you have it. Hopefully, you’re now fully prepared for your first foray into the world of playing vinyl records. Your ears will be glad you made the effort. What are the best Christmas records to buy?